Replacement Window Installations Rockville Maryland | ALCO Products Inc. Choosing a new window can be difficult – you don’t know what options work best for your space, how energy efficiency really works, or even why you should choose one window over another. That’s when it’s time to call in an expert – ALCO has been installing windows since 1956. And over the last 60+ years, we’ve learned a thing or two about how to choose and install the right window. Many replacement windows available in big retail stores are designed as a one-size-fits-all solution – sold in multiple states across the country. 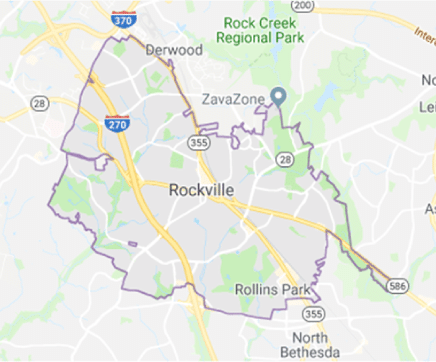 But the weather here in Rockville Maryland is different than the weather in other parts of the country. We’ve got seasonal shifts that require special attention. That’s why we’ve trusted Vinylmax windows to create a window specifically designed for the Mid-Atlantic region – to withstand our hot and humid summers as well as our cold, wet winters. The Vinylmax Edison line is designed to resist peeling, fading, chipping, cracking, and rot – which means your new windows will last season after season while looking great. Each Vinylmax Edison window comes standard with low-e coating (to reduce the amount of heat transmitted through your window from the sun) and argon filling (to reduce the heat transmitted through your window due to temperature differences)… and there are multiple upgrades available to help keep your home feeling comfortable no matter what the temperature outside. Just as not all windows are created equal, not all installation companies are the same. ALCO has been in business since 1956 and has completed over 107,000 installations – which means we know what it takes to install windows the right way. We start with our FREE Window Evaluation – a no-pressure appointment designed to let us get a handle on your needs, take measurements and create the plan that will get you exactly what you want. Once you’ve made your decision, we’ll order your custom window exactly to your specifications and the design you’ve chosen – and all windows are produced right here in the USA. On your installation day, our specialists will arrive on time and clean – because nothing is more stressful than installers tracking dirt through your home! We’ll handle everything and get your approval before leaving – after we’ve cleaned up behind us.